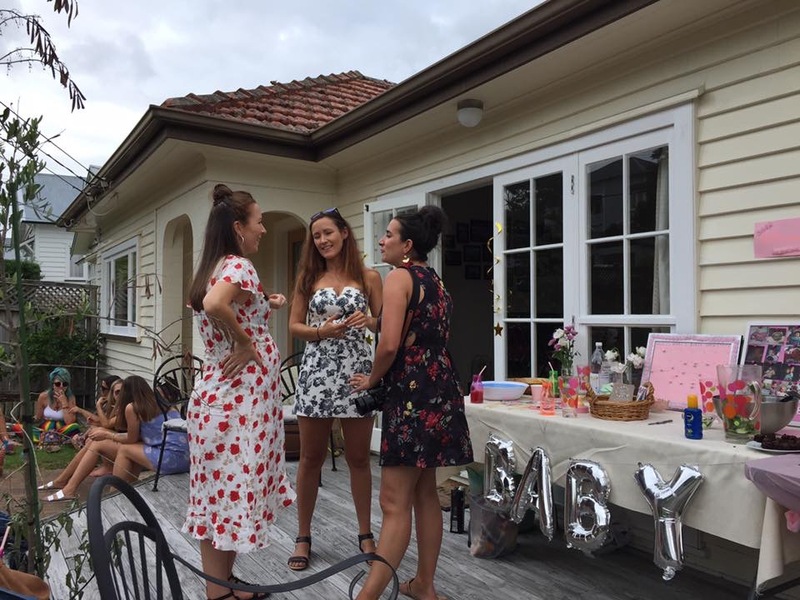 When one of your best friends is getting ready to welcome a beautiful baby girl into the world, it seems fitting to throw her a baby shower to shower her with love and presents. 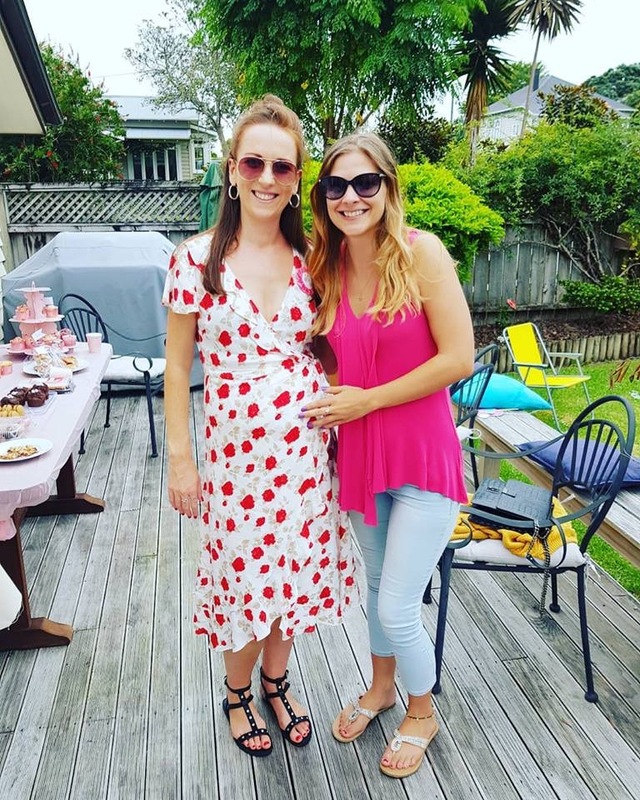 My friend Rosie is set to welcome her little girl at the end of May and we wanted to give her a beautiful day before the little one arrives. 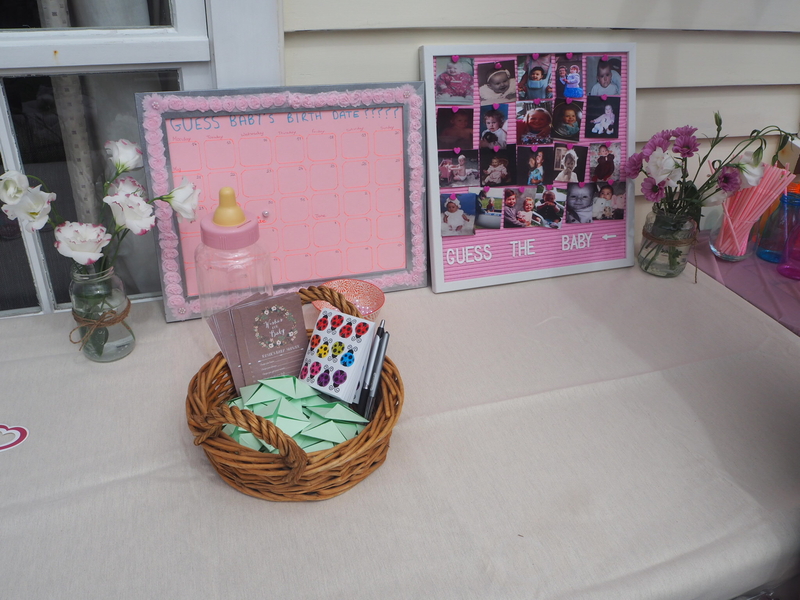 We had a lot of fun planning the shower and our main source of inspiration was Pinterest. So many inspiring ideas! 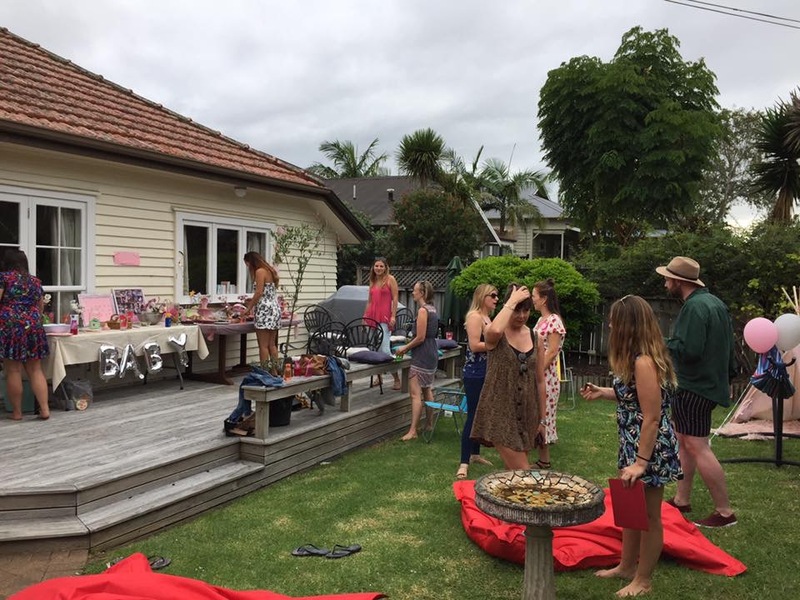 Alex, Jodie, Jess and I loved coming up with all the ideas and making our vision become a reality. 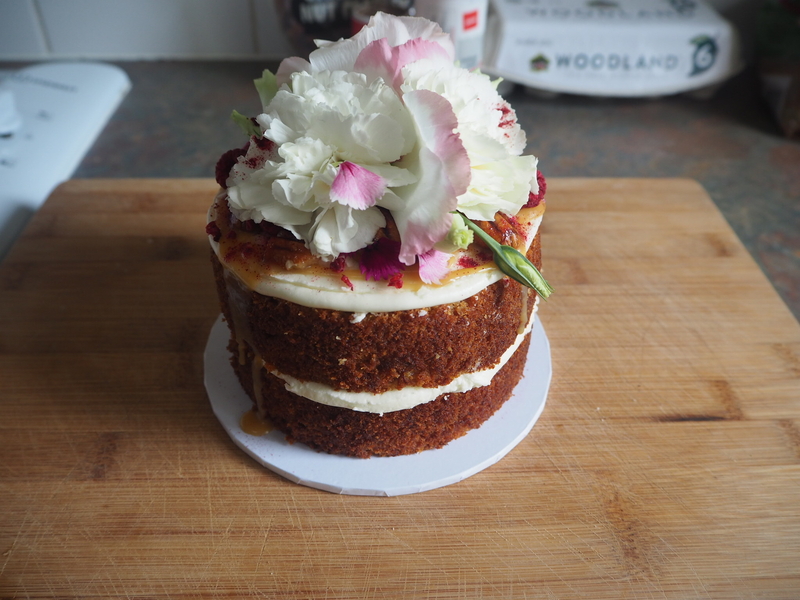 We had a stunning cake made for the shower from the talented Miss Monday who supplied a showstopper flavoured with salted caramel, banana and white chocolate with caramelised honey walnuts. You can also find her on Instagram here. Everyone tucked into sandwiches filled with cucumber and cream cheese and ham, cheese and chutney. 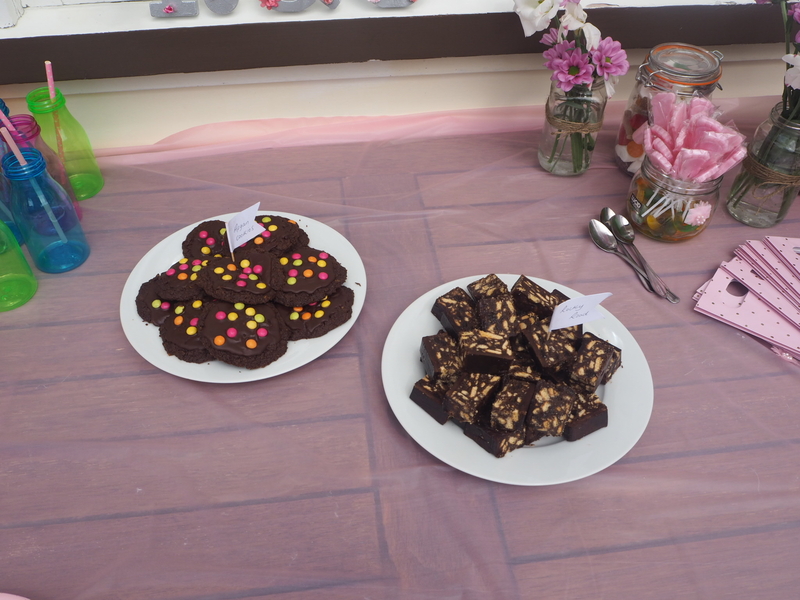 Homemade Afghan cookies and rocky road proved to be popular! 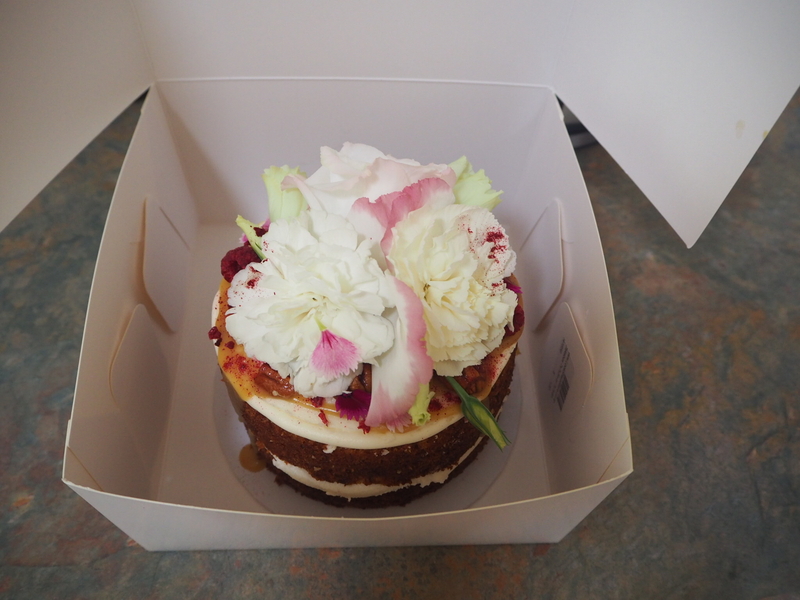 Two different flavours of cupcakes included red velvet and vanilla. 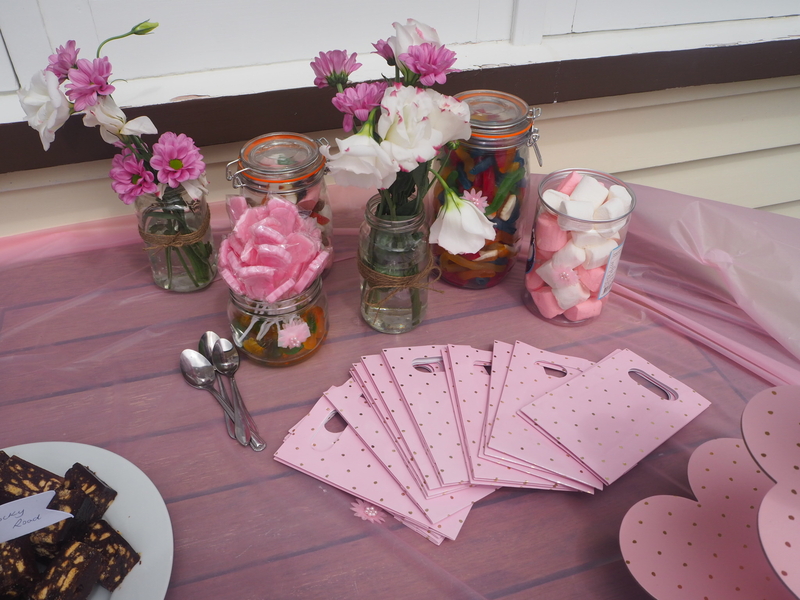 We thought a fun idea would be to provide a sweetie bar where guests could fill little bags with a selection of sweets. 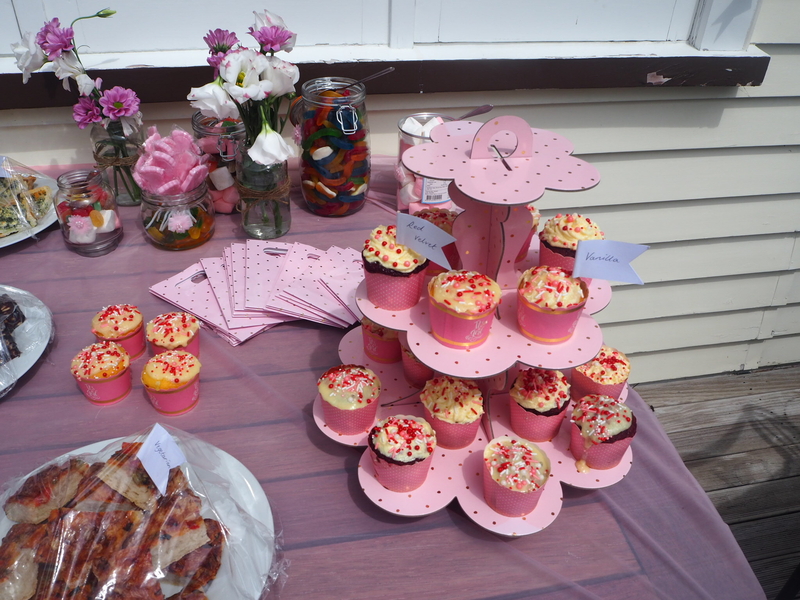 Also on the table were chocolate covered strawberries, pizza, quiche and brownies. It’s safe to say that nobody went hungry! 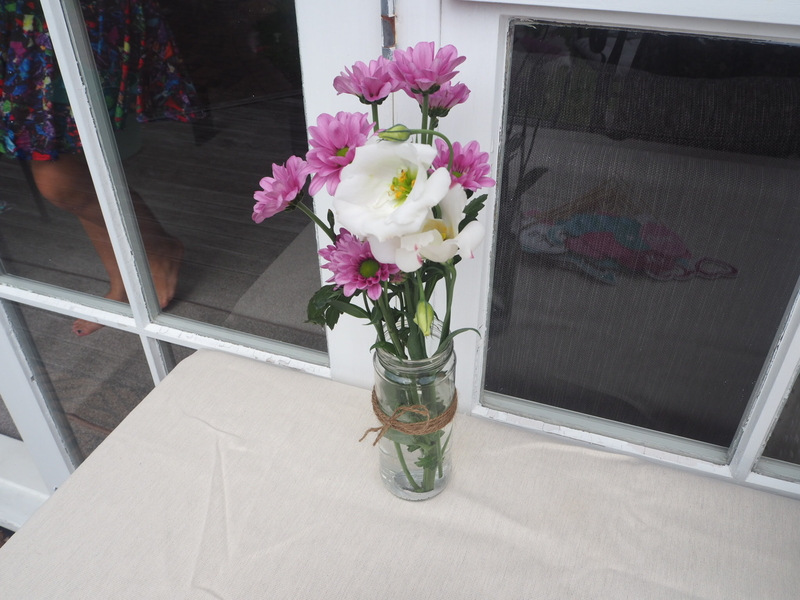 Sarah provided these beautiful flowers which were dotted around in rustic jars with twine. They really added a lovely touch to the table. 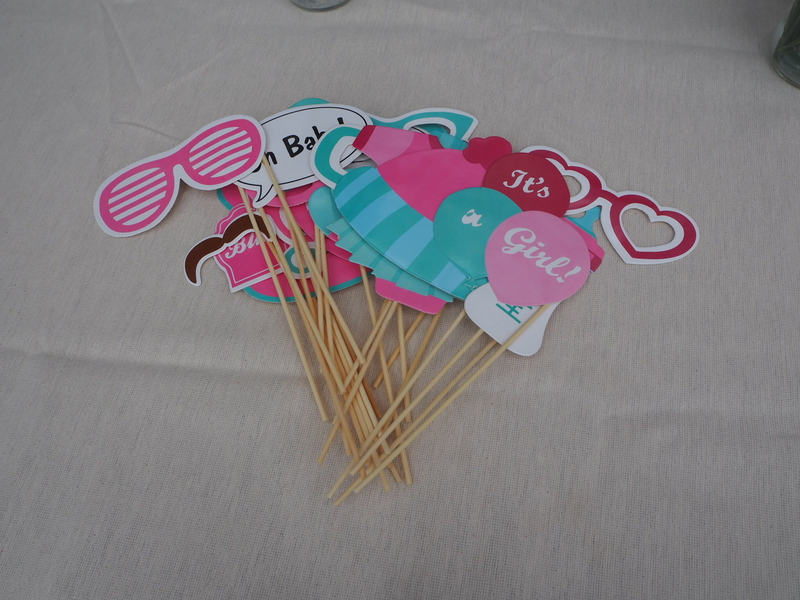 Guests had lots of fun taking pictures with these props. 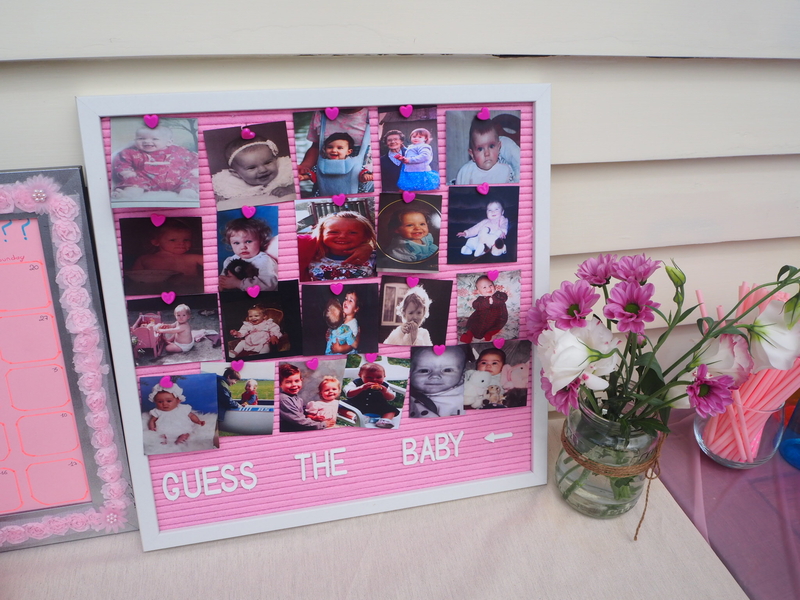 In advance of the baby shower we had all guests supply a baby photo of themselves so we could all have fun guessing which guest matched which baby photo. 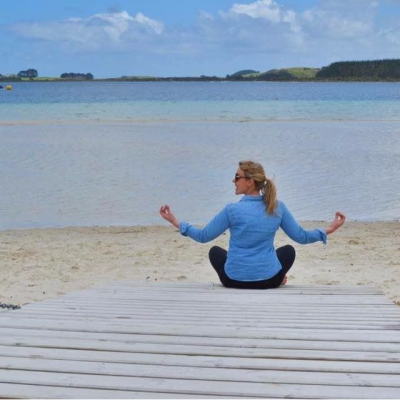 More difficult than it seems – hardly anyone got them right! 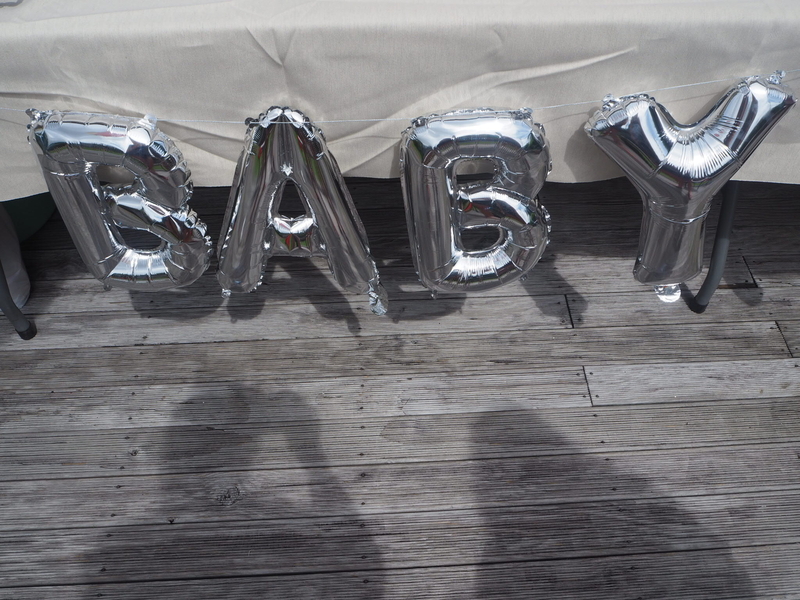 Another activity were the Wishes for Baby cards where guests could offer their wishes for the baby’s future. These were then put into little envelopes and slotted into the giant baby bottle above. 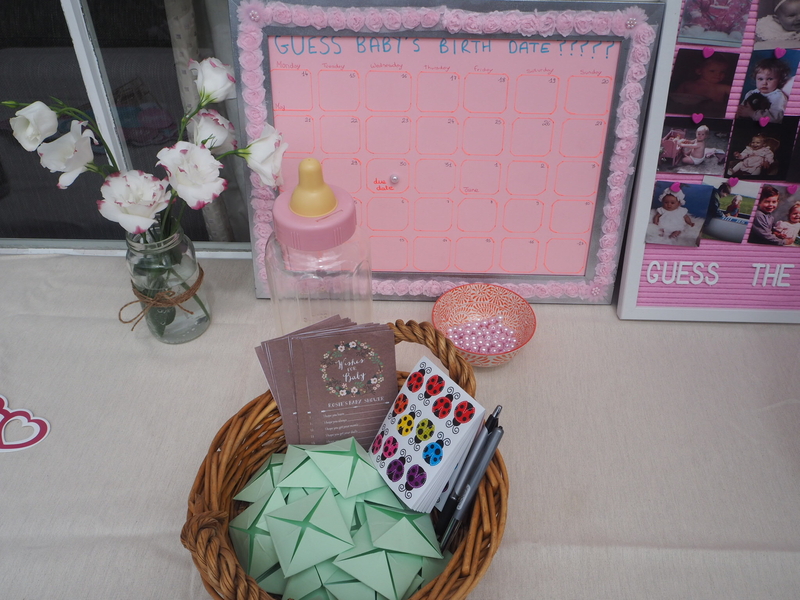 We also asked everyone to guess the baby’s birthdate by placing a pink bead onto the calendar above. Due date is the 30th May but we’ll see which one of us was closest! 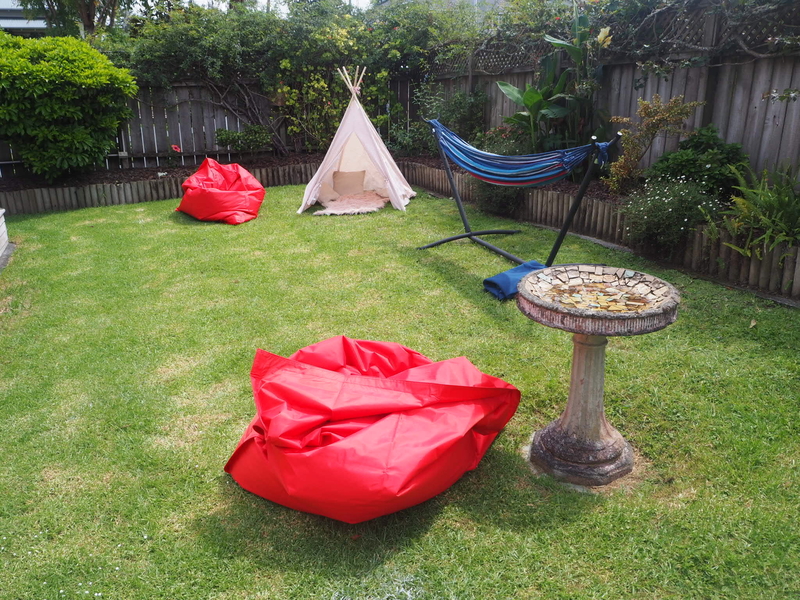 It was a scorcher of a day so we placed beanbags and chairs around the garden for guests to laze on and a little tipi for shade. 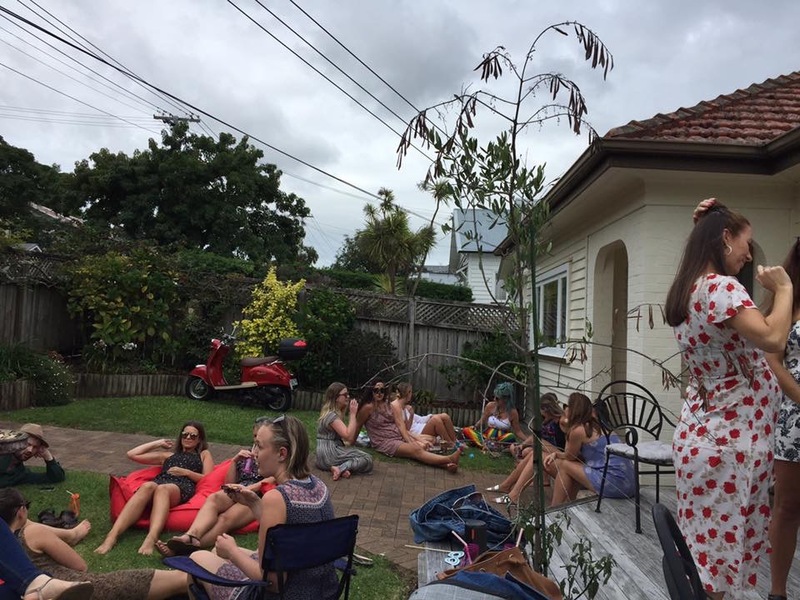 We also just lazed on the grass too. It was a great day and we couldn’t have asked for better weather. 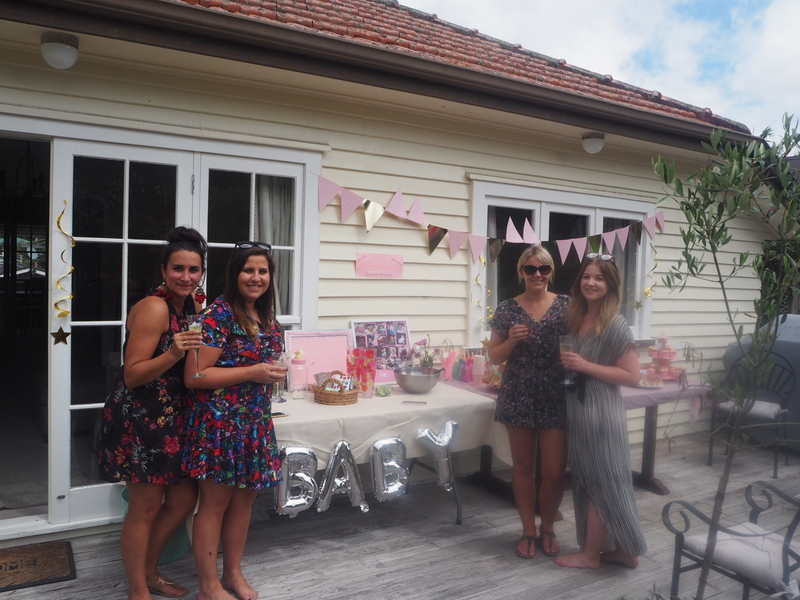 We hope Rosie felt showered with love and we can’t wait for her little lady to arrive! 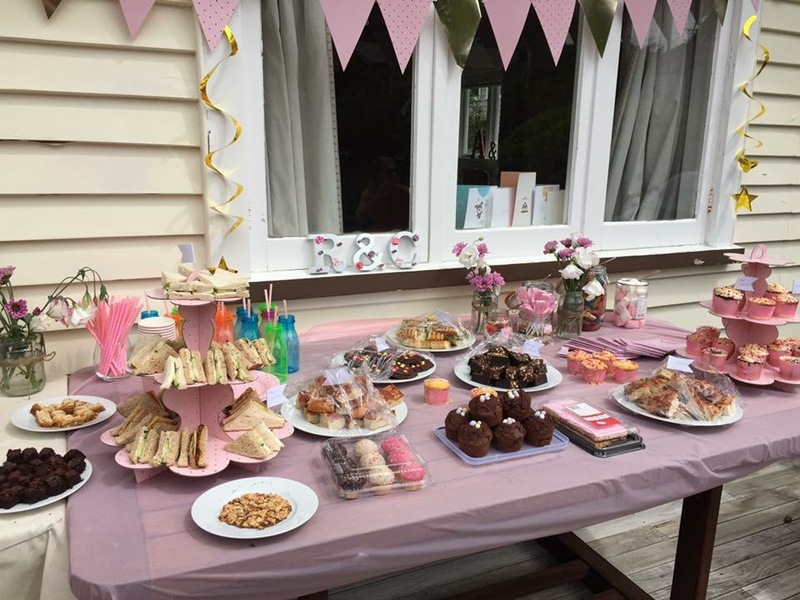 Have you ever planned a baby shower before? Do you know Jess? It is a small world!